please see first part before start it. now it look like that how it happen it easy. 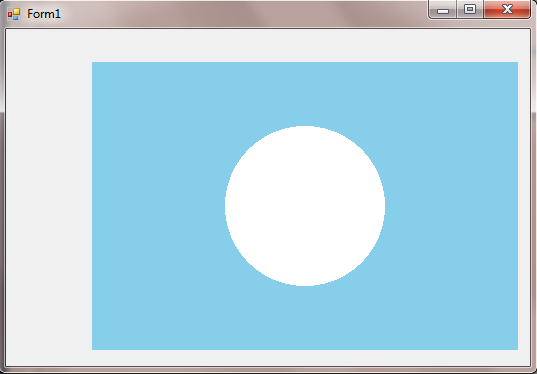 this mode draw a triangle and fill it with white color using provided vertexes point, all these triangle made the circle, like triangle pizza pieces makes the circle pizza 🙂 . must remember to write GL.End(); after GL.Begin(); otherwise nothing will happened and compiler cant give u error for that. write simple code of normal vertex operation like that remember that the radius of the circle is 80.
here normal one vertex to another vertex connected code. 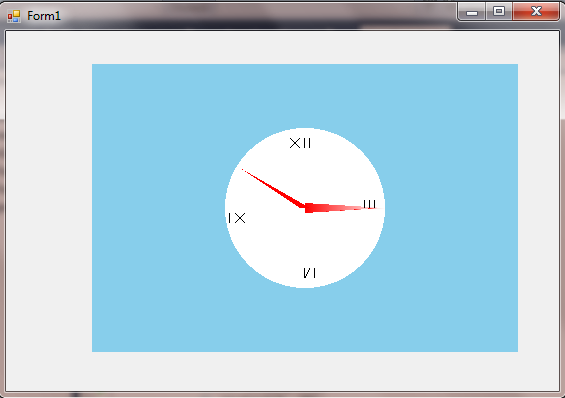 for details u can see openGL similar functions for that. Now our next job is to draw a line second for second and make it rotate. it is in third part.